Should the ECB take to the helicopters? The analogy refers to the mythic ability of central bankers to 'drop' money into the economy in order to prevent a recession. 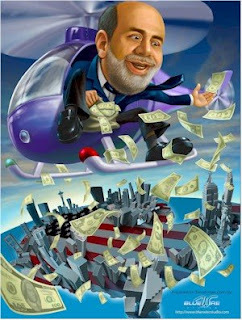 Ben Bernanke at the Federal Reserve has already earned the sobriquet Helicopter Ben for his willingness to shower distressed banks with multi-billion dollar bailouts. With the Fed cutting its core interest rate by 0.75% yesterday the pressure will be on Jean-Claude Trichet at the ECB to follow suit in order to stop a further appreciation of the euro. The Sunday Business Post interviewed four bank economists at the weekend about the outlook for interest rates in the eurozone. Their answer: in short "we don't know"; while the longer version was "they might come down, they could even go up, but we don't know". I sometimes think that economics will eventually be subsumed into social psychology, with the single exception of monetary policy. Monetary policy is part art and part science - hence the difficulty all economists have with the subject (never mind forecasts). This was brought home to me listening to a fascinating discussion on the nature of money and monetary policy in the context of the present crisis over at EconTalk. 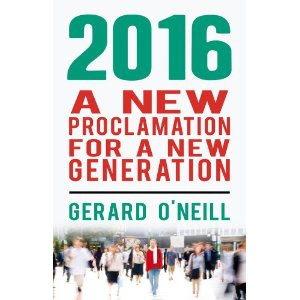 A great primer for those of you wishing to add a little theory to the headlines. Coming back to Europe, check out this presentation by my old macro-economics lecturer Willem Buiter at the LSE. His bottom line: Europe isn't in anything like the same mess as the United States and we have a lot more room for manoeuvre for now. So maybe the ECB should start their engines but not take off just yet.